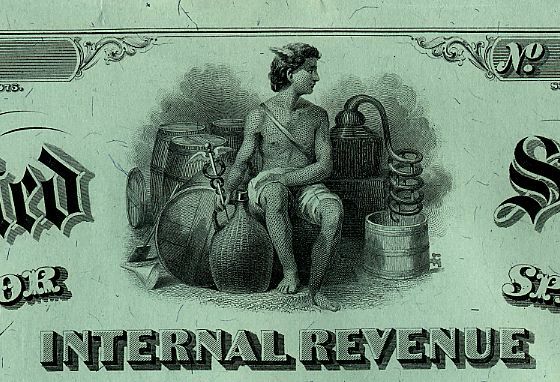 Beautifully engraved unissued tax certificate from the Internal Revenue Service for the Business of Rectifier of Distilled Spirits dated 1875. This historic document has a vignette of an allegorical figure sitting in front of a distiller. Punch Cancelled. There are 12 spaces on the left side of the certificate so it could be punched to represent the month the tax was paid. Please note that the scan clipped the item a little on the left due to the size of the certificate.